Micheal Biringi scored Express FC’s goal away to Maroons on on Saturday. 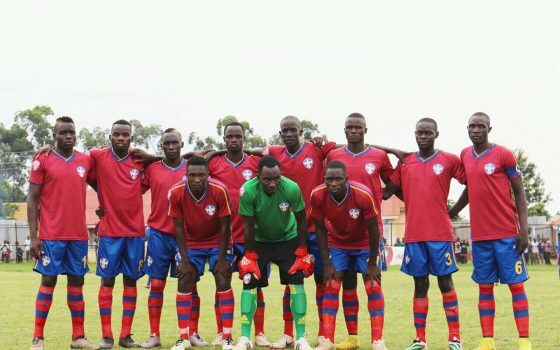 The Azam Uganda Premier League resumed on Saturday with three games, relegation threatened giants Express FC got a vital point away to Maroons FC at the Luzira Prisons grounds. Abdullah Ssenyonga’s second half strike cancelled out an earlier goal by Michael Birungi as both sides settled for a point. Express came into the game looking for their third consecutive win after defeating UPDF and Mbarara in the previous rounds. And indeed, the Red Eagles showed their hunger right from the start – Joseph Ssemujju had an effort punched over the bar, Birungi and Ayub Kisalita were also denied by shot stopper Ashadu Bugembe. 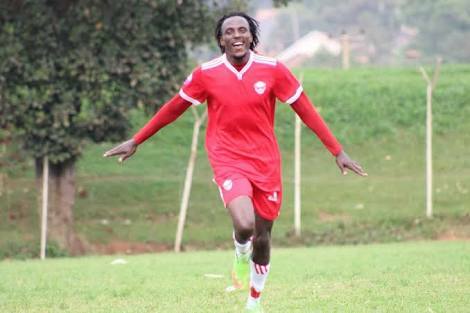 After 39 minutes, Birungi finally got the opener when he received a ball down the left, dribbled past two defenders before firing low past Bugembe to make it 1-0 to the Red Eagles. It took the hosts two minutes after the restart to level the game with Ssenyonga registering his name on the score sheet to invite loud cheers from the home crowd. Birungi later on had a chance to regain the lead for the visitors but he fluffed it. The draw takes Express FC third from the bottom (15th) with 26 points from 25 games. This was Maroons’ 17th draw of the season and 9th at home and the point leaves them in 6th position on the table with 35 points from 26 matches. In Bugembe, Bright Stars showed character as they came from a goal down to inflict a third home defeat of the season on Kirinya JSS. Faizal Muwawu scored the game opener for the home side’s as early as the 10th minute of the game. Kirinya maintained the lead going into half time but the visitors restored purity through their talisman Nelson Ssenkatuka’s penalty 13 minutes after the re-start. 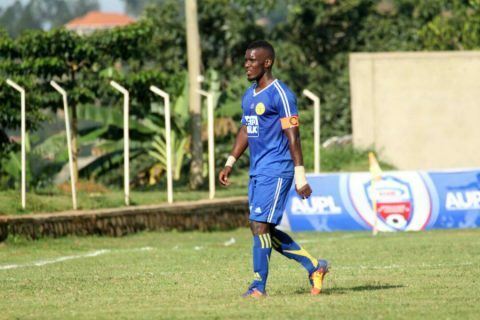 Former SC Villa right back Andrew Kaggwa scored the match winning goal with a minute of normal time to play. Bright Stars attained their seventh win of the current campaign that sees them move to 7th on the 16 team log with 33 points from 26 games. For Kirinya, they have now lost nine games in the current campaign and remain in 5th place on the table standings with 38 points. Elsewhere, Mbarara City scored a late penalty and ensured that they share the spoils with title chasing SC Villa at the Kakyeka Stadium. Record league champions Villa took the lead in 38 minutes through Yubu Bigere who was also on target when the two teams met in the first round match at the Masaka Recreation Grounds. Bogere was well stationed to head in Allan Kyambadde’a cross from the right and ensure that Villa take command of the game. The Jogoos missed several opportunities at the start of the second half and where made to pay late on as Nigerian striker Emmanuel Obina converted an 88th minute penalty after defender Henry Katonhole handled the ball in the forbidden area. The Jogoos dearly missed the services of star player Martin Kizza and defender John Adriko who where both suspended for the game due to accumulation of three bookings. 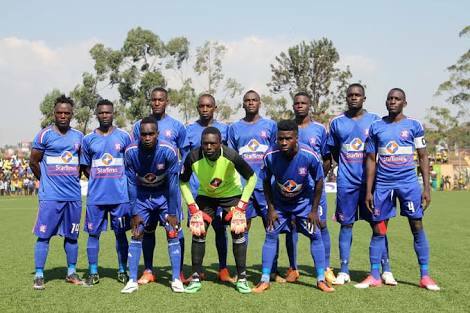 The Jogoos however remain second on the log with 50 points from 25 games, two behind leaders Vipers SC who have also played the same number of matches. For Mbarara, they stay in 13 position with 27 points from the 26 matches they have played so far and seat only a point away from the drop zone. The Ankole Lions will travel to Entebbe next to face home side Masavu FC at the Training Institute in Bugonga on Wednesday, 2-05-2018 and Villa will host Kirinya JSS at the Masaka Recreation Grounds in the same day.